Make payment for Camp Online via the link below or Call Box Office. Once payment is made you will receive an email from ExecDir@spcitytheatre.org with your registration packet. You can select the correct camp at the bottom of the next page. Our theatre workshops are designed for ages 7-14. Each session culminates in a fully staged production on our Main Stage. Please call for information regarding scholarships. 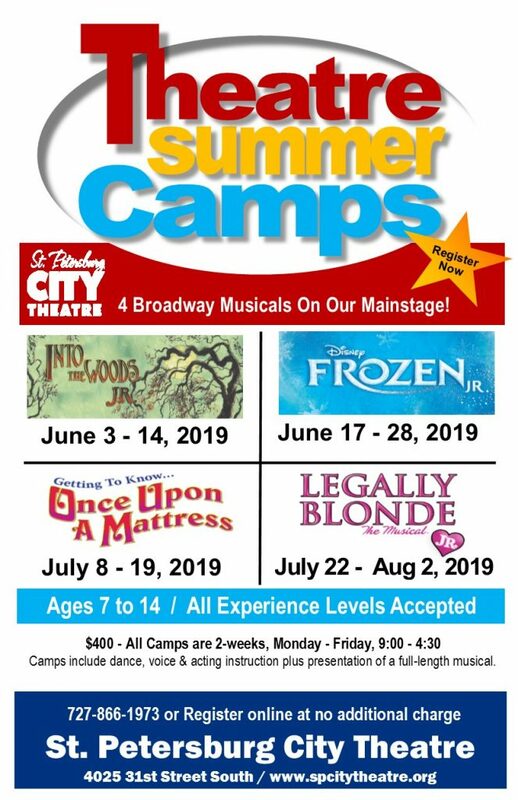 We hope you will join us for summer camp! Be sure to add your contact information for our newsletter to stay updated or follow us on Facebook or Instagram!